The historic experience of Canadiens — the descendants of the settlers of New France — has been different from the rest of Canadians. As a result, a separate and distinctive identity came easy for the Québecois. The same is not true of most non-francophone and non-Aboriginal peoples in Canada, most of whom are descended from immigrants who arrived after Confederation. With few exceptions, these newcomers cannot lay claim to an ancestral landscape within Canada, although some groups have been able to scaffold a separate identity onto the different ways in which they have experienced Canada. In some instances, this is an outcome of the persecution of their linguistic and artistic culture by Anglo-Celtic assimilationists, education systems, and marketplaces. Some recalcitrant groups (like the Doukhobors, for example) have even faced jail time for failing to conform. Experiences like these have fused identities that are as powerful as — if not more powerful than — conventional nationalism. There have been times when Quebec’s French-Canadian population has reached out to les Francophones hors-Québec. These francophones number approximately a million, against the six million in Quebec, and they include a quarter-million Acadiens, a half-million Franco-Ontariens, 70,000 Franco-Colombiens in BC, and more than 50,000 Franco-Albertains. The Bilingualism and Biculturalism Commission took seriously the historic and current condition of French-Canadians across the country but, outside of New Brunswick where francophones represent more than 30% of the total population, and in parts of northern Ontario, the electoral power of this group was small, and the strength of its collective identity was not enough to turn heads in Ottawa or in Quebec City. Despite these limitations, les Francophones hors-Québec constitute in total, and in their various parts, an important identity group, one of the earliest to emerge anew in the post-WWII period. There are many others, so many that a comprehensive list would be nearly impossible to assemble. However, among the earliest and most important, we can include Aboriginal Canadians, women, Westerners, and Japanese- and Chinese-Canadians. These groups stand out because they each had a grievance against the status quo, sufficient numbers to create political noise, and were either widely distributed so as to be an issue everywhere or tightly concentrated so as to create an important constituency in one or two locales. Respectively, they were able to bind together over issues of colonialism, patriarchy, and regional disparities in federalism; the experience of internment and dispossession during the Second World War; and a legacy of racism that included the Head Tax and legal barriers that divided families for generations. To be an Aboriginal person anywhere in Canada was to experience at least some — probably most — of the ills of colonialism; likewise, women everywhere were exposed to systemic sexual discrimination. The 1960s saw the rise of identity politics that mobilized these groups in ways that proved impossible in the past. The factors driving the change varied, but the common consequences were an abandonment of loyalty to one party or another; a weakening of the connection with the conventional story of Canada; and a sense that a collectivity or a whole branch of Canadian society had experienced abuse, neglect, and a lack of authority. The three decades that followed witnessed the emergence and consolidation of still more identity groups. African Canadians and people whose identities and orientations were not heterosexual were part of this eruption of identities. Northerners; the Inuit; rural Canadians; fundamentalist Christians; individuals who had been managed by the state because of their mental health: in each instance, their “identity” became a critical factor in building a political, economic, social, and civic role. It was no longer enough for politicians or merchants to roll out their wares and see what appealed; in the late 20th, they had to go to where the identities were. Politicians and others were told they had to speak to issues like residential schools, abortion, compensation for racist policies, religious education, self-government, language preservation, and homophobia — issues that had been kept off the table for the first century of Confederation. Figure 12.11 The largest of British Columbia’s mental health asylums was variously known as Essondale and Riverview. Deinstitutionalization of mental health patients in the 1980s depopulated facilities of this kind. The late 20th century witnessed increasing interest in the histories of groups that hitherto had eluded study. Aboriginal Canadians, “ethnic” Canadians, and visible minorities were more intensively studied, as were women who, because of patriarchal lenses, had never really been in focus. Working people were also more fully examined. Three other categories joined these ranks in the years after the 1960s: children (explored by Georgia Sitara in Section 10.9), the incarcerated, and people whose sexuality fell outside of the heterosexual paradigm (the subject of Section 12.7). Megan Davies (York University), a specialist on the history of madness, discusses conditions in asylums in Canada in the 20th century. For reasons you might easily imagine, there are few firsthand accounts from inmates or patients. French social theorist Michel Foucault’s book Madness and Civilization (1964) continues to inspire scholars to ask questions about institutionalization and social power. Davies’ account of asylums and forced sterilization provides a sense of how the growth of state power played out in the area of mental (and often social and/or moral) deviance. In the second video, Professor Davies addresses deinstitutionalization and how it contributed to the growth of a new kind of identity. This multitude of voices and stories is viewed as one of the key qualities of the postmodern era. Multiculturalism is part of a long-running nationalist narrative of “tolerance” in Canada, a storyline that has minimized difference and maximized themes of inclusion. However, this is only one version of nationalism in Canada. In Quebec — particularly in the context of the 1995 referendum — nationalism had an exclusive flavour. Inevitably, these nationalisms wind up being measured against one another. As Eva Mackey observes, in the context of the Quebec sovereignty campaigns, “the demands of French Canada are equated [by Anglo-Canadians] with intolerance and racism, and English Canada, in opposition, is constructed as the opposite, a modern tolerant nation.” Differentness, therefore, is implicitly deployed — ironically — as a tool of unity. And yet, this unity itself has limits as feminist and postmodernist critics have pointed out. One of the keys to the rise of identity politics is the right to have an identity, which should be obvious but often it is not. Gays, lesbians, members of ethnic and/or visible minorities, married couples with different racial ancestries, individuals and groups belonging to religious creeds that constitute no more than a minority in their communities, and even women were unable to advance their cause until their identity was recognized. Very often this recognition came in the form of anti-discriminatory legislation. The 1953 Equal Pay Act in British Columbia served to identify groups that had suffered from discrimination and established that they had a right to complain when they were oppressed on the basis of that identity. Later in the 20th century, in 1988, the Japanese-Canadian community won an apology and wrung compensation out of the Federal Government for the humiliating internment of WWII and the state’s confiscation and sale of their property in the 1940s. (Although 22,000 people had been interned, only 1,400 received compensation for property losses prior to the 1980s.) Many Canadians, including Pierre Trudeau, opposed this move, claiming that it would open the floodgates for similar complaints based on past actions. Indeed, subsequent claims were made, although few achieved as much compensation as that awarded to the survivors of internment. The larger effect of the redress settlement made to Japanese-Canadians was the way in which it raised human rights abuses in Canada as a historic issue that needed to be confronted. This redress has served to validate other identity groups — such as residential school survivors — whose claims of abuse are not isolated to the distant past, since they took place in the post-war era when human rights was a concept well known to government, the media, and the public. The following two sections explore aspects of identity politics in Canada over the last century and more recently. The images that shaped a mainstream Canadian identity can be contrasted with the ways in which some groups were consciously excluded and punished for differentness. One feature of the Canadian experience has been the development of many, separate, and sometimes conflicting identity groups, of which French-Canada is merely the most obvious. “Identity politics” became more visible in the 1960s, and gained importance later in the 20th century. The very fact of embracing multiculturalism and diversity has offered support to the growth of identity politics while, conversely, building a sense of shared experience and, thus, unity. Identity politics contributed to the destabilization of the political status quo, which led to the loss of hegemony by the federal Liberal and Conservative parties. 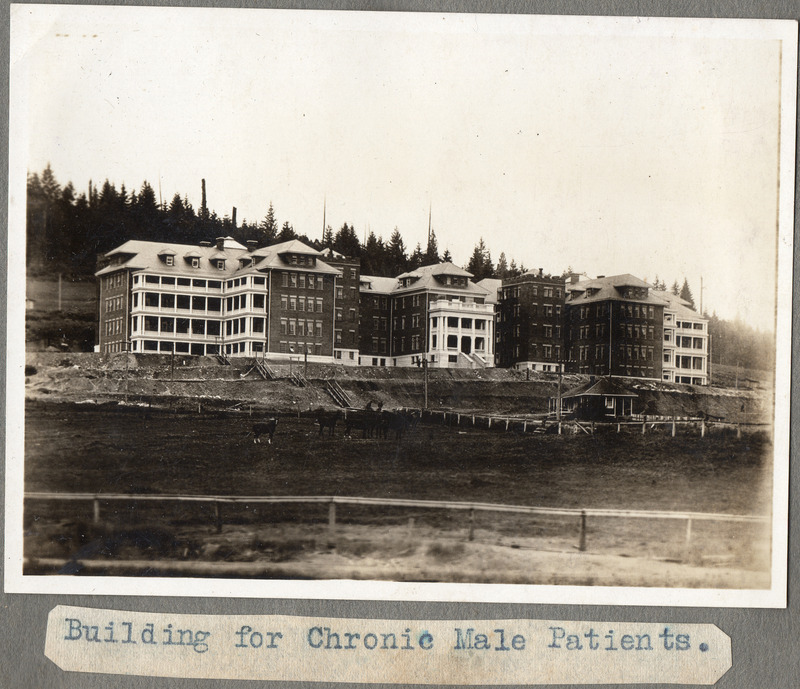 Building for Chronic Male Patients by Niall Williams is used under a CC-BY-SA-2.0 license. 12.5 Identity Politics by John Douglas Belshaw is licensed under a Creative Commons Attribution 4.0 International License, except where otherwise noted.